ISLAMABAD — Afghanistan’s President Ashraf Ghani has offered unconditional peace talks to the Taliban, as well as the chance of recognizing them as a legitimate political party and withdrawing their names from international sanctions lists, if they agreed to join a peace process and give up violence. Addressing the second Kabul Process conference Wednesday morning, Ghani said the Taliban’s demands of reviewing the constitution could also be entertained during the process. However, women’s rights would be protected. “The peace process will be held in three stages of negotiations, approval, and implementation. In all stages women will be represented and consulted,” he said. He also offered to help former fighters reintegrate into society and find jobs. The offer comes at a time when Taliban leaders have indicated they would be willing to talk directly to the United States. “The Political Office of the Islamic Emirate of Afghanistan [the Taliban] calls on American officials to talk directly to the Political Office of Islamic Emirate regarding a peaceful solution to the Afghan quandary,” the statement said, referring to the Qatar-based Taliban office. However, the Taliban has so far refused to negotiate with the government in Kabul, calling them puppets of the Americans. Presidential spokesman Haroon Chakhansuri said the proposed peace plan was prepared after months of consultations and input from all segments across the Afghan society. 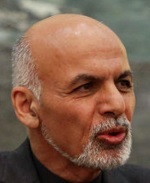 President Ghani said the entire country had a consensus on the proposal. The Kabul Process, designed to map out a plan to end a war that is now in its 17th year, started last July. The current round is taking place at a time when the U.S. military has stepped up airstrikes in support of Afghan ground security forces to break the battlefield stalemate and pressure the Taliban to come to the negotiating table. The Taliban control, or have influence over, most of Afghanistan and have been able to inflict severe damage to the Afghan forces. They also claimed responsibility for two bloody attacks in the heart of Kabul that killed hundreds of people. Representatives from 25 countries as well as the United Nations and NATO are attending the Kabul Process. must thoroughly get cleared in all accounts, before set free out of the country.